UK prime minister Theresa May accused the EU-27 countries of "lining up against Britain" in response to German chancellor Angela Merkel's warning that the UK should have no "illusions" over Brexit negotiations. 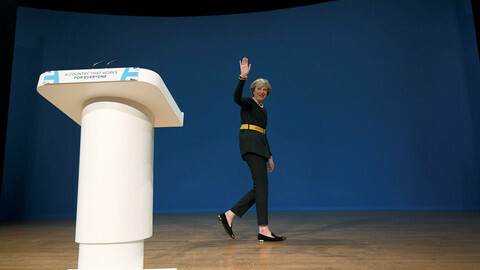 May campaigned in Leeds, a Labour Party stronghold in northern England, on Thursday (27 April), in an attempt to sweep up votes to strengthen her ahead of the Brexit talks. 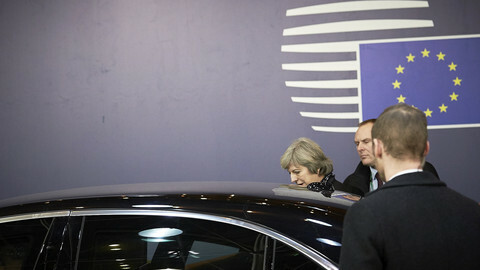 She told a crowd at a rally that Merkel's comments reflected "how tough those negotiations are going to be at times". "Our opponents are already seeking to disrupt those negotiations, at the same time as 27 other European countries line up to oppose us," May said. "That approach can only mean one thing – uncertainty and instability, bringing grave risk to our growing economy with higher taxes, fewer jobs, more waste and more debt," she argued. 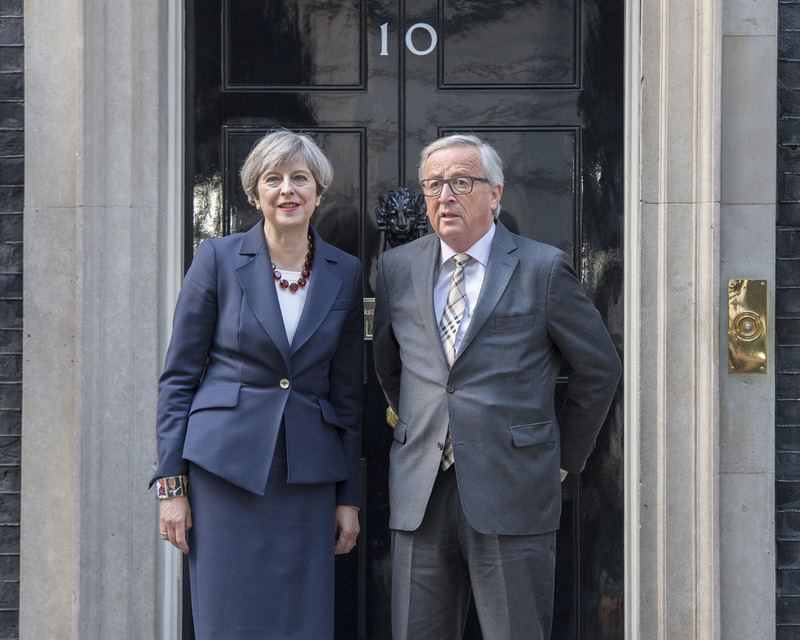 "So we need the strongest possible mandate and the strongest possible leadership to go into those talks," May added. 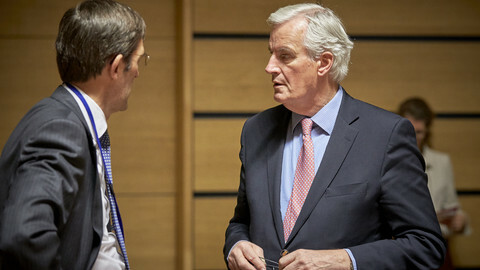 The EU leaders meet in Brussels on Saturday (29 April) to agree on the "red lines" of the Brexit negotiations, which will start after the snap UK general election that will be held on 8 June. 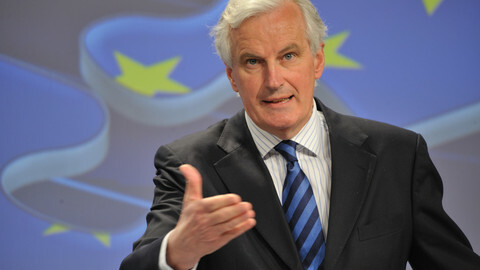 The EU's "negotiating guidelines" were finalised by EU affairs ministers on Thursday in Luxembourg. The document details the three priorities agreed by EU leaders: guaranteeing rights for EU citizens in the UK and for Britons in the EU, the UK's financial liabilities "bill", and the necessity to avoid a "hard border" between Ireland and Northern Ireland. 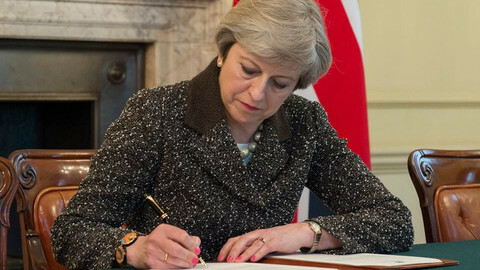 The final position also excludes financial services from a future trade deal with the UK, something that May aimed to have included in the talks, as outlined in her Article 50 letter that triggered the exit process. May ventured into Labour's heartlands, laying bare her ambition to serve a historic blow to Labour in the general election in June. "This election is not about who you may have voted for in the past. It is about voting in the national interest. Voting for the future," she told the crowd. Meanwhile, a new survey by YouGov for The Times newspaper showed for the first time since the referendum last June that more people believe the Brexit vote was a mistake. The survey found that 45 percent of respondents agreed that the UK was wrong to vote for Brexit, whereas 43 said withdrawing from the bloc was right and 12 percent said they didn’t know. Contrary to British PM May's expectations for a sweeping trade deal, the EU 27 want to ring-fence the financial services industry from a future trade accord unless the UK agrees to EU rules. 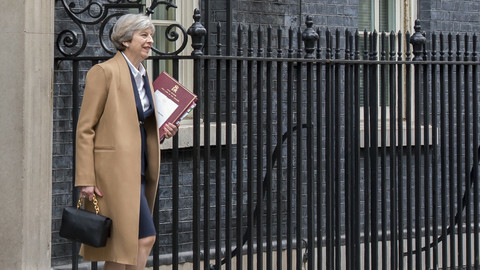 The UK prime minister has blamed the parliament for divisions in the country and called for a vote on 8 June, which she hopes will result in a pro-Brexit majority. The EU says the vote will not change its plans. The prime minister's Tories almost need not bother campaigning for the June election. There is no opposition worthy of the name. EU officials have denied accusation they were trying to meddle in the UK vote. 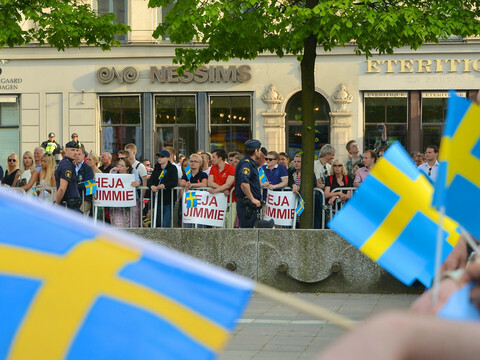 We need "maximum good will", Tusk said.